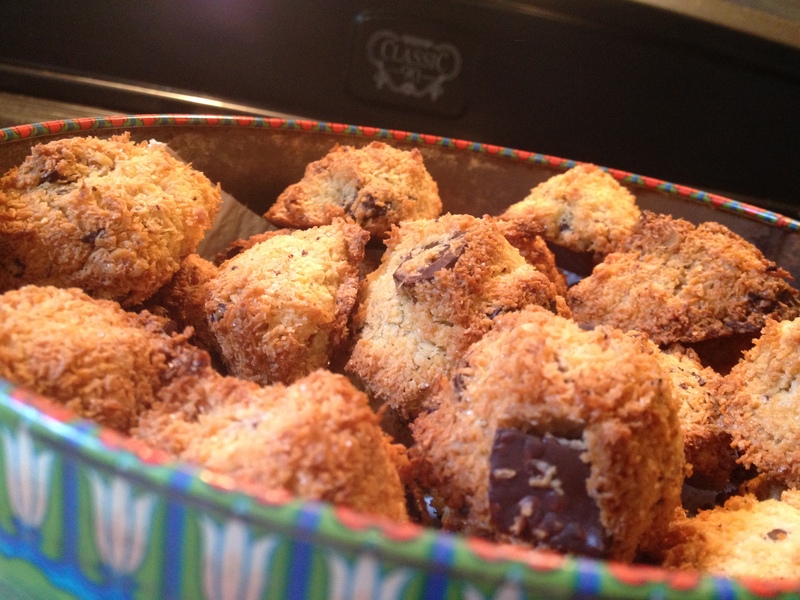 Walnut and Dark Chocolate Coconut Bites – Fit for a Prince! 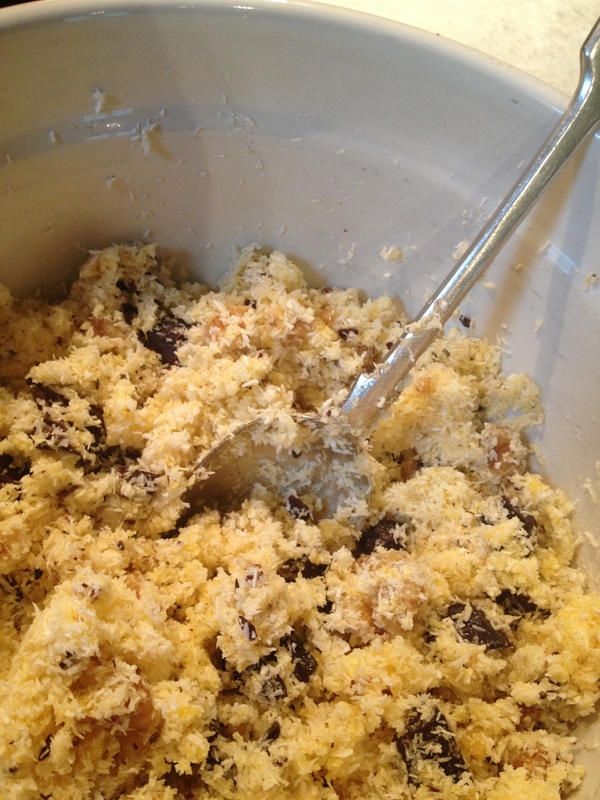 3 cups of unsweetened desiccated coconut; 2 eggs; 3/4 cup of sugar or natvia (or other sweetener of your choice; 1/2 cup of chopped walnuts; 1/2 cup of roughly chopped dark chocolate. Line a baking tray/cookie sheet with baking paper. Measure the coconut and sugar into a large mixing bowl. 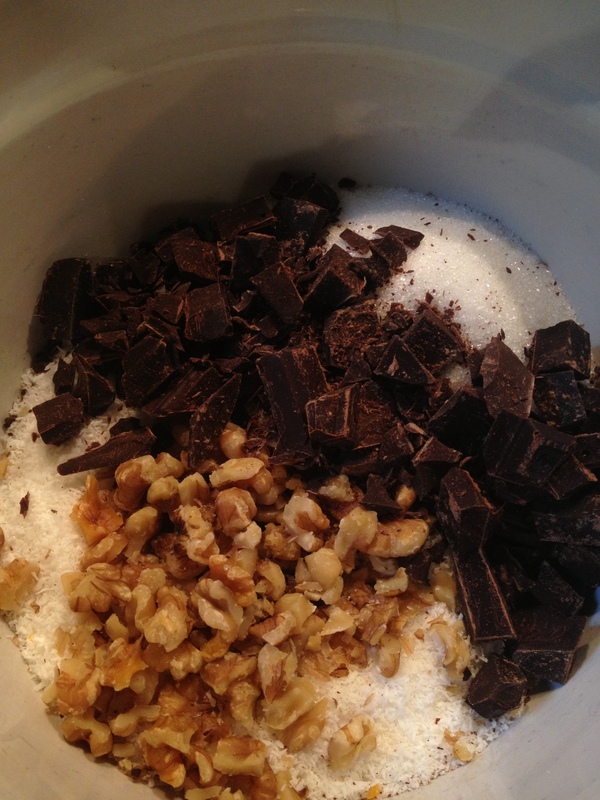 Dump in the walnuts and chocolate. Break the eggs in and mix thoroughly. Leave stand for five minutes. Using a soup spoon or similar, dip the spoon into a mug of water (so the mixture doesn’t stick) and then press the palm of your other hand down on the spoon to firm up the mix. Drop onto the baking tray. Repeat until all the mixture is used, dipping spoon in water frequently to avoid sticking. Place into the hot oven and bake for 20 minutes or until golden brown. Cool on the tray for five minutes before transferring to a wire rack until completely cool. This entry was posted in Cakes and desserts, Fast and Fabulous!, Gluten-free, Sweet treats and tagged breakfast, choc walnut biscuits, choc walnut macaroon recipe, dessert, easy coconut macaroon recipe, food, gluten free baking, gluten-free sweets, paleo diet, Royal Baby, sugar-free baking recipe by Cauldrons and Cupcakes. Bookmark the permalink. 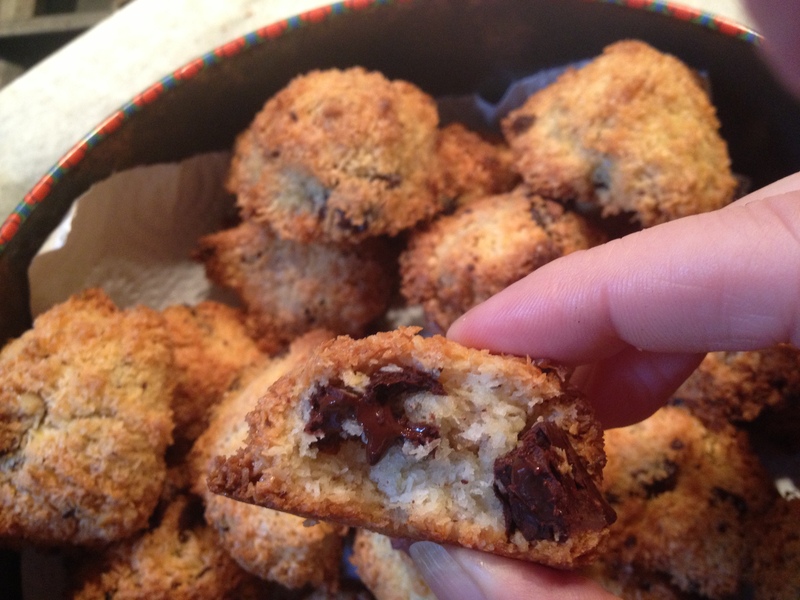 These look amazing, Nicole! I wish you were closer so we could cook and bake together! Oh, they look delightful! I can’t eat walnut nor coconut or I’d make them at once! Well I shall eat some for you, because that’s what friends do! 😀 a perfect solution! Thank you, friend. Those look so yummy. 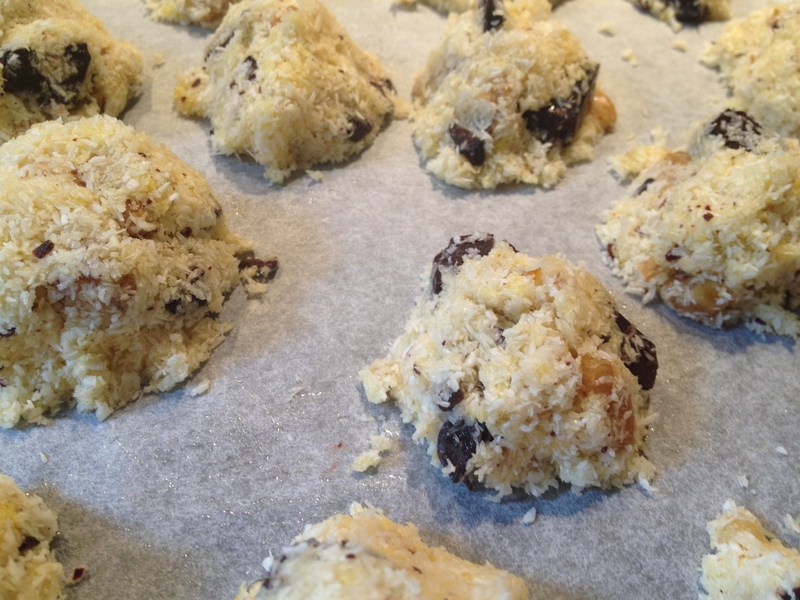 Do you think you could use almond flour instead of coconut??? ?